There was something odd about the picture when US Soccer unveiled its final 23 for Brazil 2014. There was no Landon Donovan. Yes, really. There are many reasons for this move. Not in shape, maybe not as fresh, not as young, not as fast, not scoring, not really. But the name and face of the US National Team is too much a part of what this team is about to leave him behind and all his fans. Or is he? The manager always has to make tough choices. This time the choice was tough for Donovan and his millions of fans. But what does the US lose? If you say "passion," yes, true, but you can say the same for every other player in this squad. If you say "experience" then we will say "Dempsey." If you say "speed" then we say Zusi or Green or Bedoya. If you say "set pieces" then we say Brad Davis. If you say "style" then we say Diskerud. If you say "leader and fantasy" then we say Dempsey. And this is what happens. What was once only Donovan is now many players. What was once a hard 4-4-2 is now an interchangeable set of formations. It's a hard thing to swallow, but Donovan had his World Cup in 2010. This one is Dempsey's. In the end it's about results on the pitch. If America goes through then Klinsmann is a genius. If they fail miserably then we blame him for Donovan's omission. If it's a close ending then we are left to wonder. 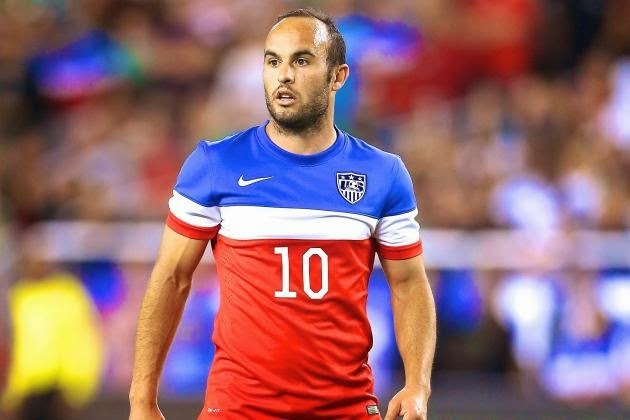 Was leaving Donovan out too bold for the US Soccer team?